Most real estate agents have individual pages on broker websites such as Re/Max or Phyllis Browning where they have to compete with other individual agents for viewership and potential clients. 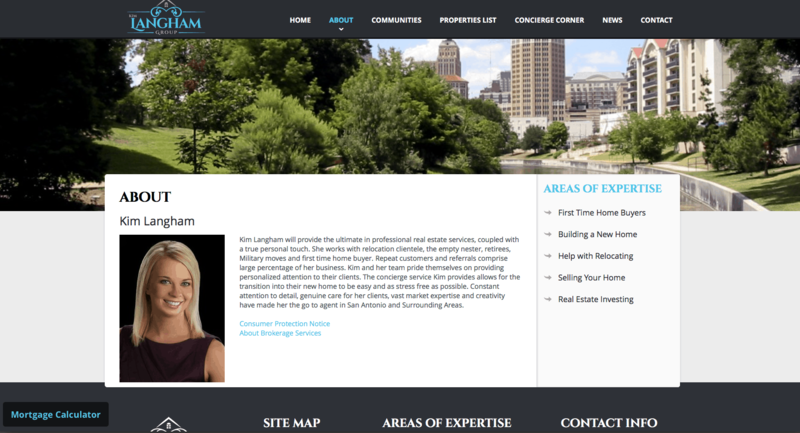 Kim Langham was in a similar position and only had a few listings hosted on the KellerWilliams website. Her agent profile appeared alongside hundreds of other agents and did very little to attract customers. 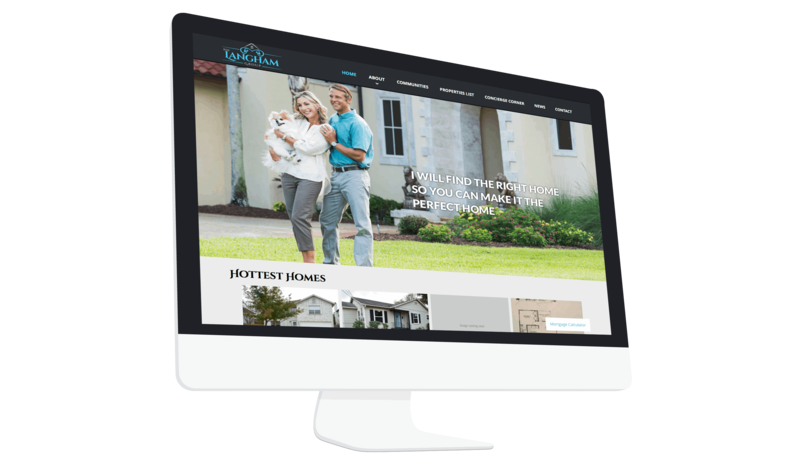 She wanted to do something different, so she came to us to help her build her own realty website. Site ownership: site is owned by the agent. This means even if the agent moves, they can install and host it anywhere. It’s not a leased site. Kim now showcases and promotes her realty business on her own website, giving her a unique advantage over her competitors.